Purchase, NY – October 2, 2017 – With speed being a critical factor in fighting fraud, Mastercard today announced the launch of Early Detection System. This new service provides issuers with a unique advanced alert for cards and accounts at a heightened risk of fraudulent use based on their exposure in security incidents or data breaches. The business of stolen data is in the news daily and thieves are getting faster every day. 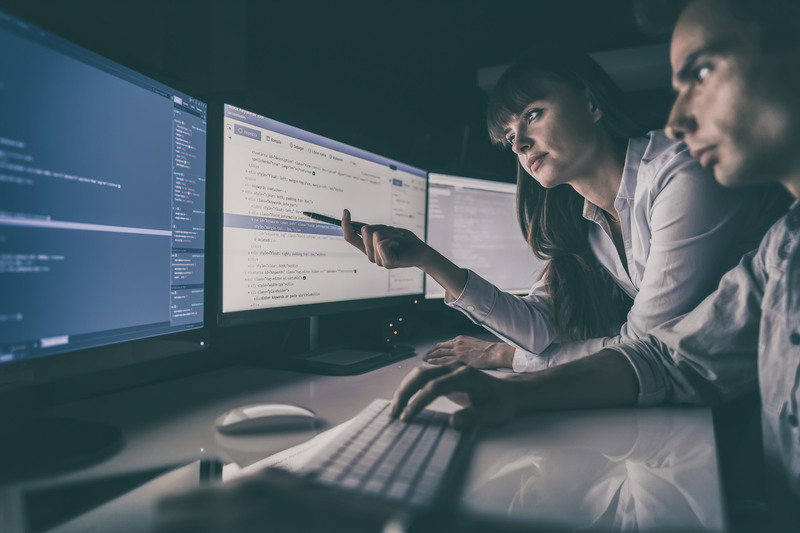 Just last month, 143 million identities were reported as compromised in one data breach, and it can take as little as 9 minutes for stolen data posted to the dark web to be used. 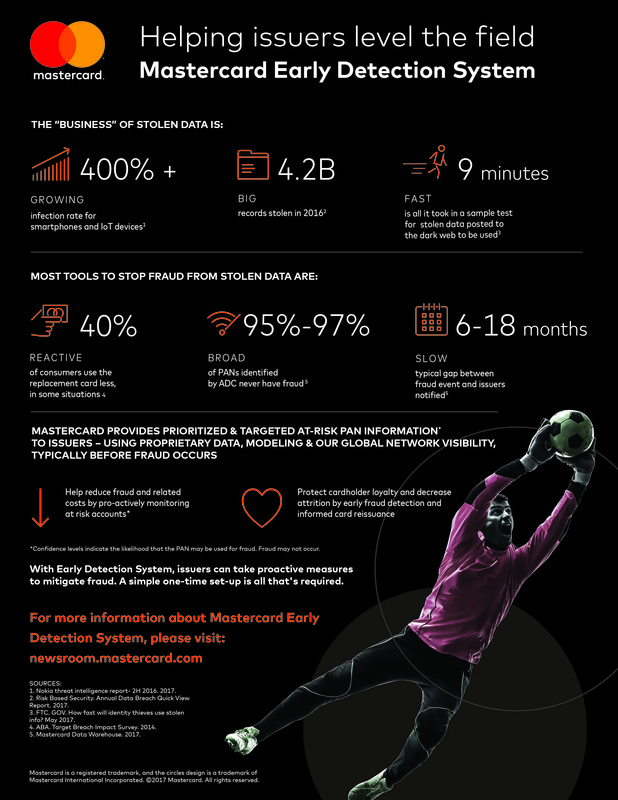 Knowing that not all compromised accounts will be used fraudulently, and every second counts, Mastercard developed Early Detection System to help financial institutions take action faster, thus helping them preempt more serious attacks. Using Mastercard network insights, predictive capabilities and a combination of internal and external data sources, Early Detection System determines if a card or account is at risk and sends an alert to the issuer with a quantification of the level of risk. The issuer then uses the level of risk to more accurately prioritize what action to take – from monitoring transactions more closely to proactively issuing a replacement card. Early Detection System is available to issuers globally and captures all types of fraud across all transaction channels. The system identifies everything from active criminal trading of account data, to identification of cards being tested prior to being used for fraud, to account data that appears at-risk but without sufficient evidence to declare an Account Data Compromise event. This provides issuers with alerts on a much broader set of at-risk accounts potentially 6 to 18 months ahead of traditional alerts. Mastercard has a long history of investing and innovating across multiple layers of technology – like EMV, tokenization, physical and behavioral biometrics, and artificial intelligence – to protect every transaction.